Get in touch with us using the form links below OR call the volunteer office at (415) 553-2153. Food, fun, and other KQED radio listeners just like you. 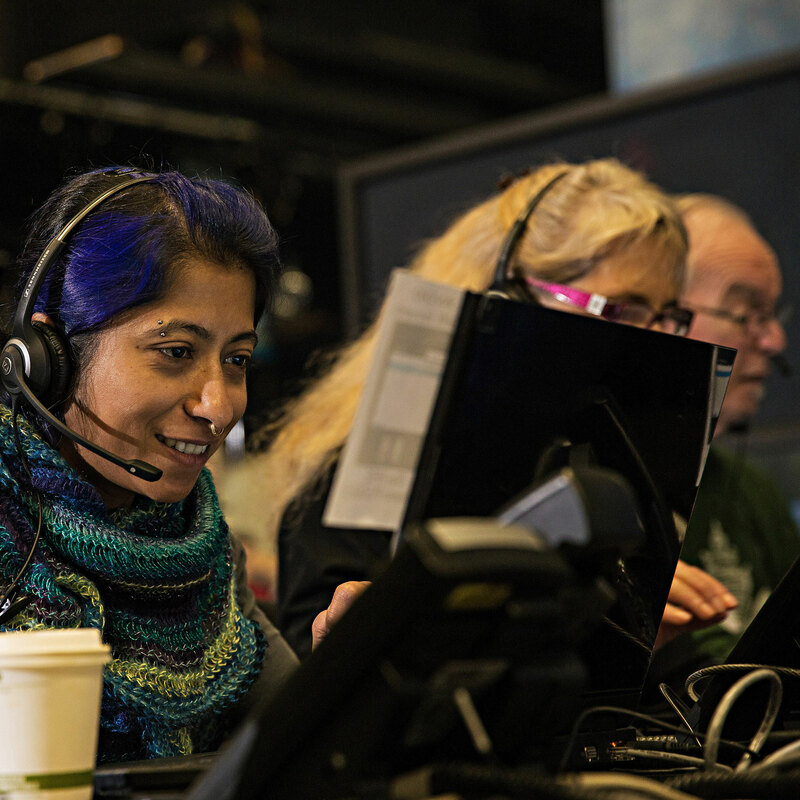 Becoming a KQED volunteer is a great way to show your support for public broadcasting and all the quality programming we offer. Your support helps us provide quality television and radio programs right here in Northern California. You really can make a difference. Our annual television pledge drives are in March, June, August, and late November. KQED Television and Radio pledge drives are a great way to support your community and have fun doing it! Volunteers help out by answering phones and taking donations on our computer system. Food and parking are FREE! Just fill out the Individual Volunteer Information Form to be contacted for future pledge drives. A variety of shifts are available, and all are located at the KQED Studio at 2601 Mariposa Street, San Francisco. You must be 16 years of age or older. Call (415) 553-2153 or email volunteer@kqed.org. Companies and organizations are encouraged to come in as a fundraising group in exchange for on-air credit. Some of the benefits of participating include verbal acknowledgements, camera pans of the volunteers, table signs, and an on-air graphic slide. Call (415) 553-2153 or fill out a Group Volunteer Information Form to be contacted for future fundraising drives. “I really have enjoyed volunteering for KQED as a FM morning pledge drive supervisor, a docent and an event volunteer for almost 15 years now. I especially love supervising the FM morning fundraisers (with the exception of having to get up at 4:30 in the morning!) The loyalty of the KQED volunteers is really astonishing. Every fundraiser has the feeling of a joyous family reunion, so supervising this group is very easy and lots of fun. 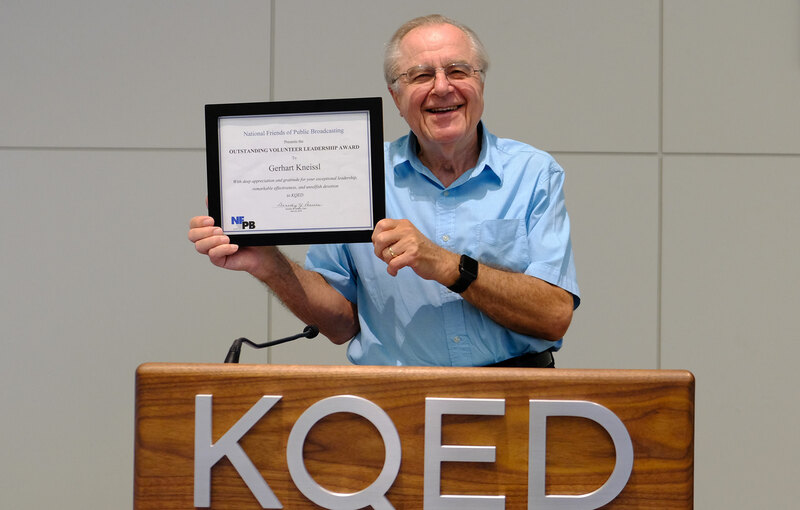 Today I am the one who needs to thank KQED for giving me an opportunity to contribute in a minor way to the success of this station in providing vital services to our community. Thank you”!